I checked the shoebox lids and realized that their depths are alike to the depths of canvas boxes. That’s when came up with the DIY Mini Wall Art idea. 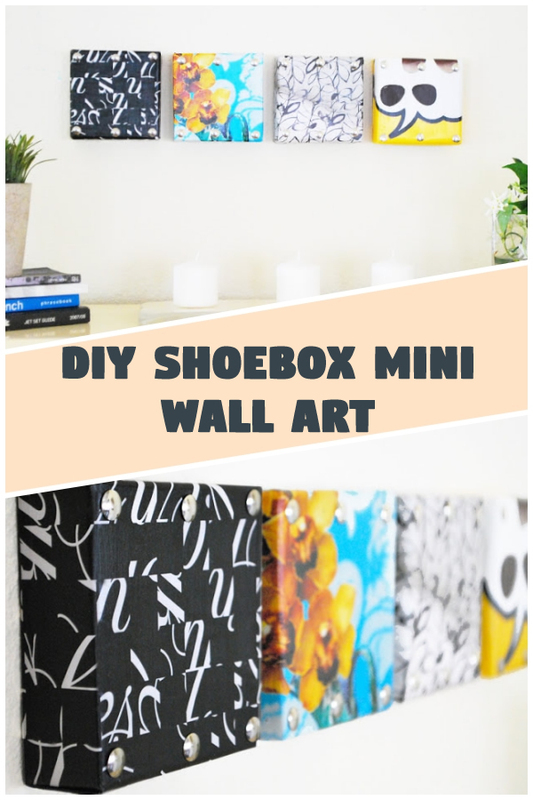 All you need to do is cut the shoebox lids, attach some attractive decorative papers (you can also cut graphics from old magazines and use them) and thus you will get some personalized wall arts to decorate your walls. Just imagine how the walls will look if decorated with these personalized wall arts? Of course, your walls will look pretty amazing. So, let’s try it. 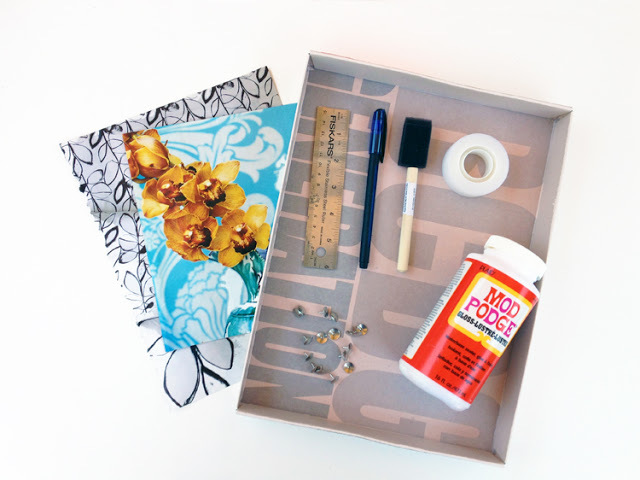 Start the crafting process by cutting two squares in 4×4” size from the corner of the lid. Use a pen and ruler to take an accurate measurement before cutting. Now slide both of the square pieces into each other and thus you will get a little box with four walls. Use the tape to attach both pieces together. Take the decorative paper and cut its pieces a few inches larger than the size of the lid boxes. That’ how decorative papers can cover the whole lid. Now is the time to apply a thin layer of decoupage medium inside the lid. After that lay the paper on top. Press the paper perfectly in order to ensure there are no air bubbles. Continue the process until the whole box is covered. Let the decoupage dry and then again apply a thin layer of decoupage medium to offer the boxy a glossy appeal and perfect finish. 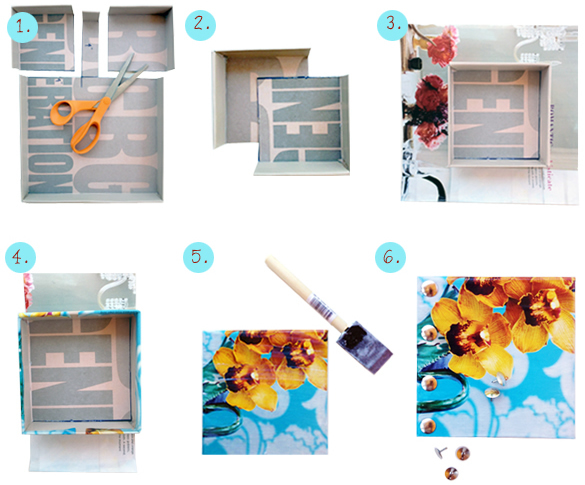 That’s how it is done and that’s how you can create attractive wall arts from shoebox lids. Try it and you can add some new stuff to completely personalize the look of your wall arts.